Back in 1992 the idea of this book shape. That time I was on a visit to Calcutta from Toronto for a longer period. 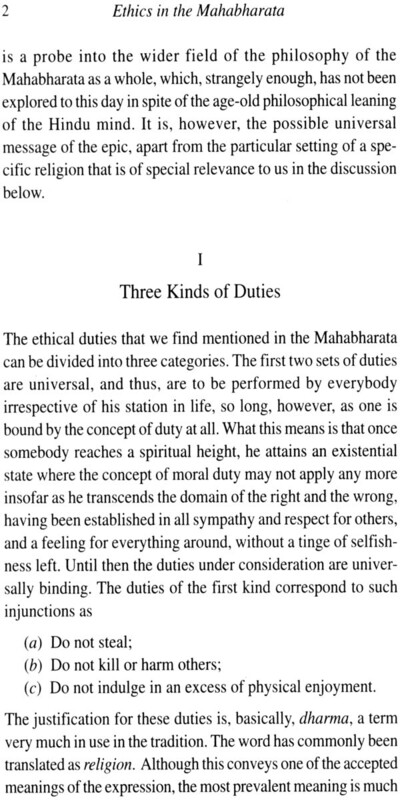 My maternal uncle Pandit Anantalal Thakur, who had for long desired to involve me in some serious scholarly work on Indian thoughts, drew to my attention a couple of slokas from the Mahabharata on the concept of dharma where the concept is shown to have two sense, interrelated, and yet different. The ideas involved struck me profoundly, and I started on writing ion ethics in the Indian tradition. Here I had two courses open to me. 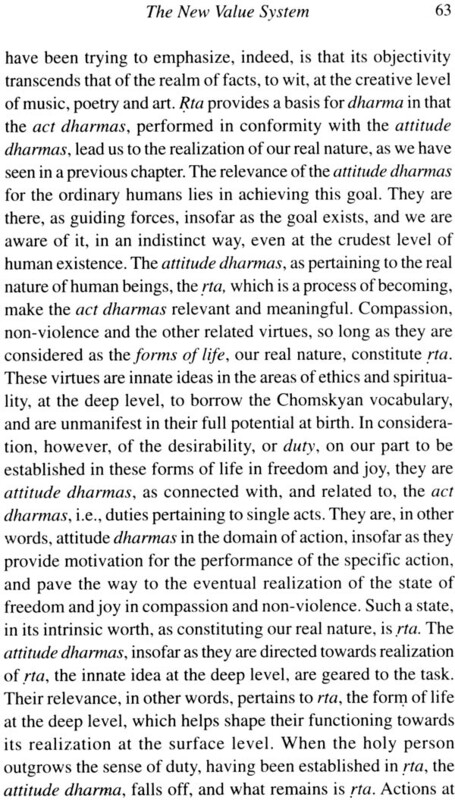 One was to go all the way along the tradition, and unfold the concept in both senses, as it can be shown to flow from the main streams of the tradition; the other was to see the relevance of the concept in the modern way of philosophizing in the western system and explore how the concept goes to contribute to the discussion on ethics in today's world. I have preferred to take the latter alternative. Although I have done the work of authoring this book rather late in my life, in a way, however, it is a product of my lifetime. This point I would like to keep perspective while expressing my gratitude to those who prepared me for it since my early days and helped me on the way. The names of persons whose help was specifically relevant in the process of writing the book are mentioned in the Acknowledgements. I remember, in the mid-fifties, I entered Presidency College, Calcutta, as an undergraduate student. This was exactly eight years after the termination of the British rule in India in 1947. Having come from a small town in West Bengal, I felt lost in what appeared to be a predominantly European atmosphere of education in the college, and would, in the depth of my mind, be pining for a continuity of my identity in the traditional Indian setting. There I had the good fortune of meeting with the great philosophy teacher Gopinath Bhattacharyya, who was thoroughly conversant with both Indian and western ways of philosophizing, and had a firm mooring in Indian culture. Eventually, I learnt from this great intellectual how to pursue the rational path, and stand on one's own solitary ground on its basis, following the way of Indian spirituality as well as the intellectual tradition of the subcontinent. At home my father Chintaharan Chakravarti, a colleague of my luminous teacher, and an Indology scholar of repute in his own right, would provide me constant motivation and support to continue Indic studies with love and respect that the area deserves, and not necessarily follow the apparently catchy ways of modern scholarship, which often tend to miss out on the pulse of the culture. I remember from my adolescent days early morning conversations between my father and my uncle, the latter a budding Indologist at the time, which would wake e up in bed. 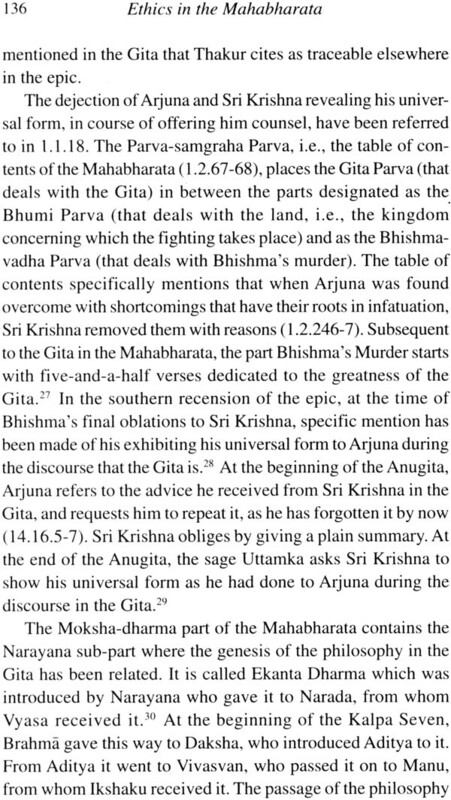 I would be inevitably drawn to their discussion, as a silent listener, to the unhappy state of the Indic studies of the day. This was during the fifties. Later I chanced upon the Presidential address of Mahamahopadhyaya Haraprasad Sastri, entitled 'Sanskrit Culture in Modern India', delivered at the Fifth Indian Oriental Conference at Lahore in 1928, when he was eighty, deploring the state of the decline and neglect of the Indic Studies he had observed since his boyhood. Unfortunately, decline on the heels of neglect continues to be a constant process till today, long after Indian independence from external dominance. Sanskrit Studies in India often tend to be relegated to the back seat, and certainly not looked upon as worthy to be pursued for success in life. They may even be viewed as unbecoming of the spirit of the modern mind. Lately, 'experts' may be found in the area, both in the West, and to an extent in India, too, who appear to have missed on the required grounding in the vast and difficult field. 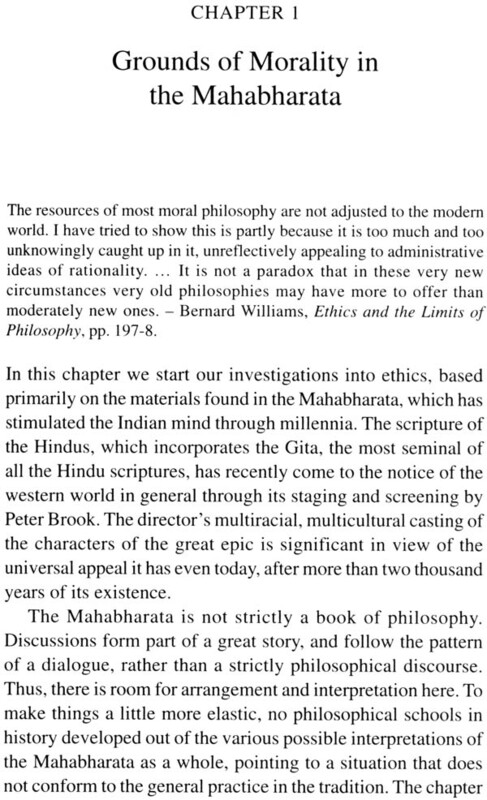 This book on Ethics draws upon the words of wisdom found in the Mahabharata, following the spirit of Bernard Williams' proposal that we look for inspiration for the modern-day ethical understanding in the ideas of the past. 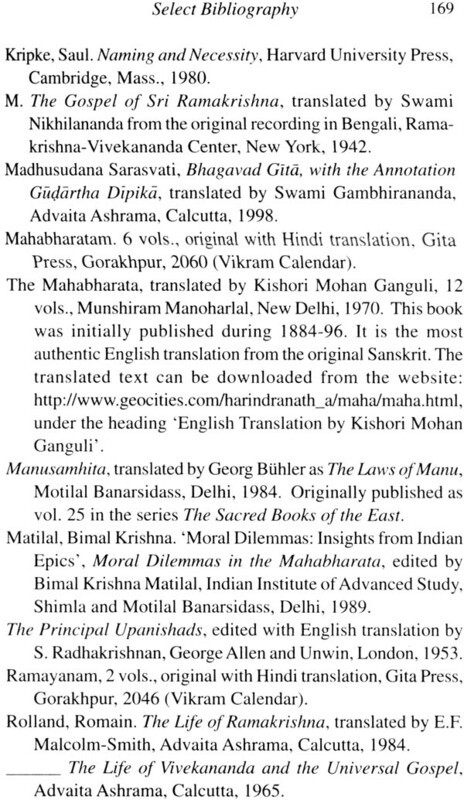 In elucidating the literary and religious meaning of the Mahabharata, the author probes for the ethical and epistemological truth it contains, in the frame of reference of the uniquely Indian variety of existentialism. In the process he has not only come to an understanding of the principle of morality, along with the relation holding among Satya (Factual Truth), Rta (Truth as Value) and Dharma (Righteousness in Conduct), but has come up with observations that shed fresh light on the analysis of the epic itself. 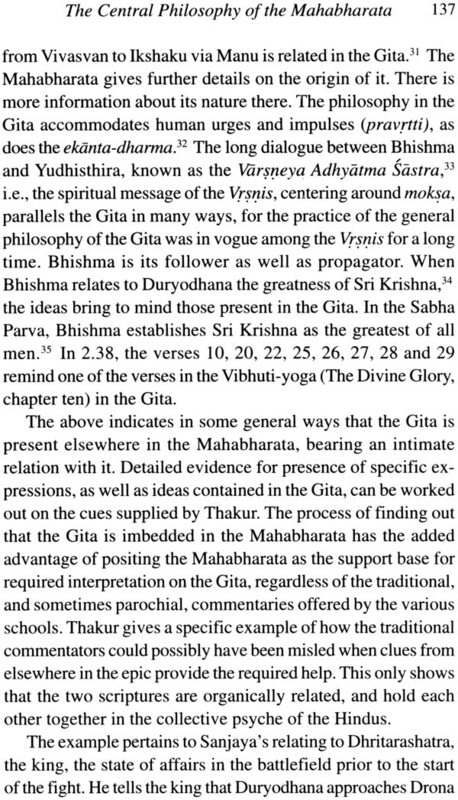 At the end, the reader has a novel idea of the Mahabharata and its relation to the Gita. 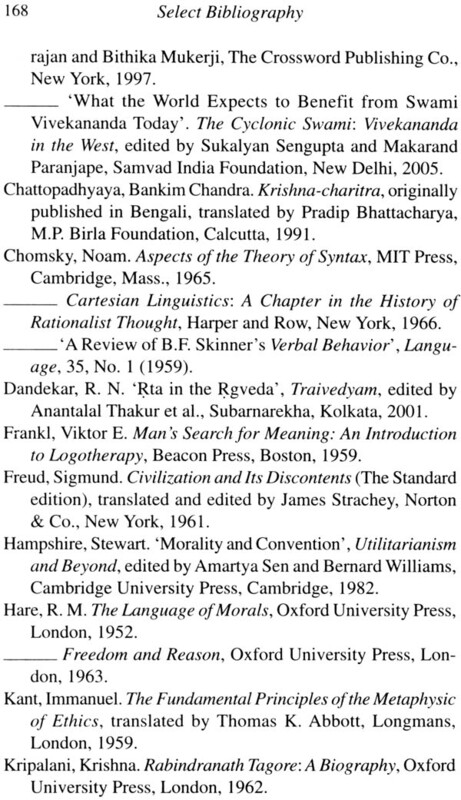 Dr. Chakravarti, is doing for the Indian texts what twentieth- century philosophers have been doing for the pre-Socratic, Platonic, and Aristotelian texts: reading them as philosophy. 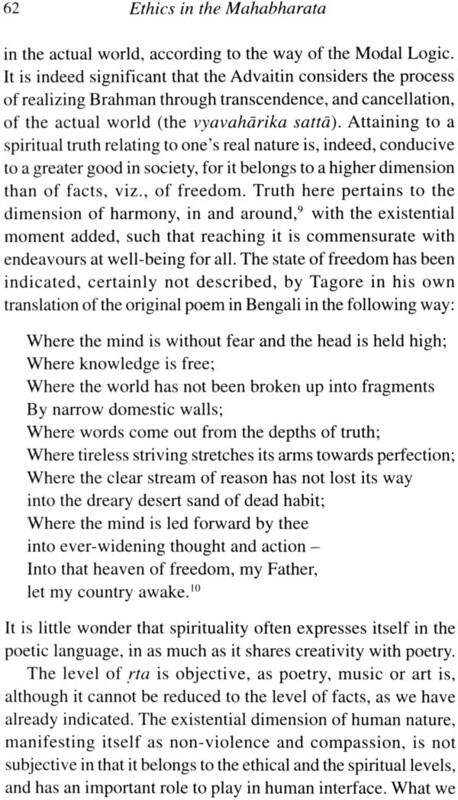 The book is thus a contribution to Religious Studies, Indic Studies and Philosophy as such, combining both the western and the Indian varieties, as the latter extend on to the thoughts of Gandhi and Tagore. It links the old Indian wisdom with the modern western, applying the tools of analytical as well as phenomenological styles. The author draws resources from, and occasionally contrasts with, the ideas of Kant, Wittgenstein, Chomsky and Freud. The non-specialist reader who is seeking an understanding of ancient Indian philosophy will also be richly rewarded by the present book in several ways. 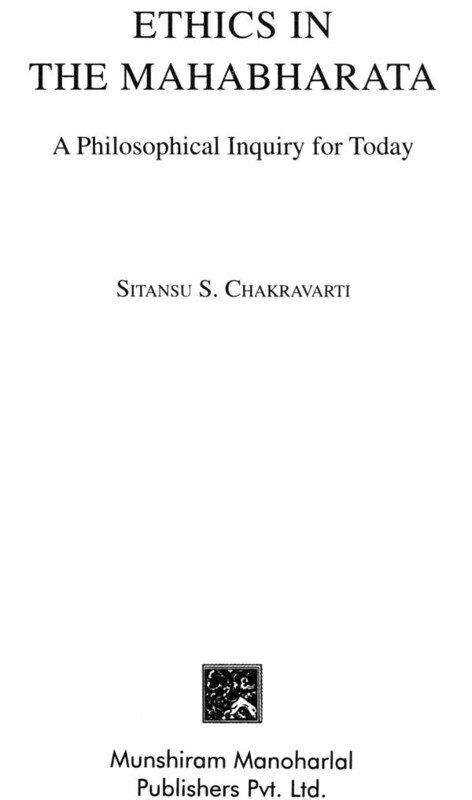 Sitansu S. Chakravarti did his Ph.D. from Syracuse University, New York, concentrating on the philosophy of Language. He was formerly a Visiting Professor at the Departments of Philosophy, Universities of Rajasthan, Jaipur and Visva-Bharati, Santiniketan. He has taught at the Department of Religious Studies, McMaster University, Ontario. Dr. Chakravarti has published in The journal of Indian Philosophy and the Notre Dame Journal of Formal Logic. He has authored the books: Hinduism- A way of life and Modality, Reference and Sense-An Essay in the Philosophy of Language.